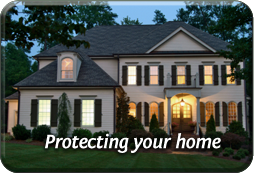 AFS Insurance Services, Inc. | How Much Homeowners Insurance Do You Need? The simple answer is that it depends on several factors that can determine how much you will pay for your homeowners insurance. Just like with a car, your deductible will impact the cost of your homeowners insurance. If you pick a plan with a high deductible, the annual premium for your insurance coverage will be lower. However, if you have to make a claim for repairs to your home, your out-of-pocket cost will be higher too. On the other hand, a low deductible will cost you more up front, but you will pay a smaller amount if you have a claim. Filing claims can also affect your renewal premium. If you're buying an insurance policy to cover a home that's worth $500,000, you're going to pay more than someone whose home is worth half that amount. A solid assessment of what your home is worth will help determine the right amount of coverage you need. The agent will review the home for Replacement/Re-Building costs to determine the best level of coverage for you. The value of your personal belongings will be considered to make sure their value is included for Replacement in the event of a covered loss..
Is your electrical, plumbing, heating, A/C and roof in good order and has it been replaced recently. The type of construction of the home, its roofing, garaging, amenities; these can affect the replacement. Do you own animals and certain types can affect the rating or coverage. Do you have a a trampoline, swimming pool or other hazards that can affect the rates.